Over the years, many doctors and nurses approach us who want to offer botox or injectable fillers at our clinic. We always refuse to accommodate the idea, although the treatment practice is well known on the UK market. October 2010, deregulation by the Care Quality Commission concerning the use of botox and injectable fillers was a shock. Since, we have seen manufacturers and suppliers go into salons, mobile businesses, dentists, tattooists and even opticians. As we age collagen and elastin production diminishes. When injection of botox and and fillers happens in the skin, they cause further stretching to achieve the most desirable aesthetic outcome. The ingredients found in these products are not all natural and contain toxins that lead to negative longterm complications. Observations illustrate that an individual’s skin composition can vary (depending on time of day, state of mind, time of month and lifestyle). Sadly, this consideration isn’t priority on offering injectable fillers. This can lead to all manner of difficulties for the individual when receiving the treatment. Sometimes including irreversible toxicity and reduction in the production of natural collagen and elastin due to decreased metabolic health of tissues and reduced blood circulation. After many sessions, usually chemical injections can increase quite considerably. The stretching of the skin occurs to a point where its elasticity is worse than initial contemplation. The long term risk is not worth the short term fix. Therefore, the reason we do not offer botox or injectable fillers is that the long term effects go against our ethos. Due to us seeing many clients on refferal and post procedure, the consistent comment is always that their skin is in a worse condition, than before receiving treatment. The Anti Ageing Treatments we provide are 100% safe and you can rest assured that the long term health of your skin is our primary concern. Our treatments will give you better results, without the risk and with your own natural looking appearance. 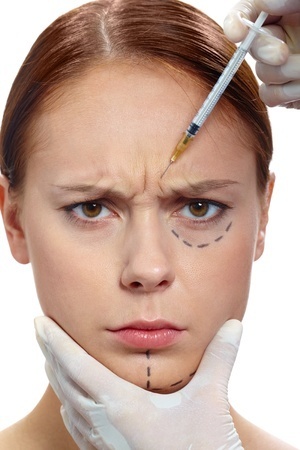 For more information please read our Article The Truth About Botox And Fillers.